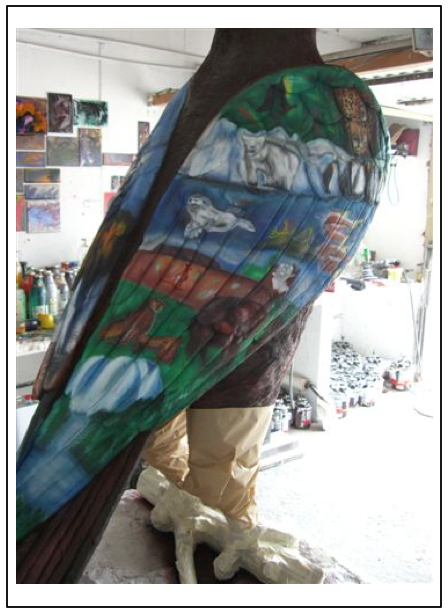 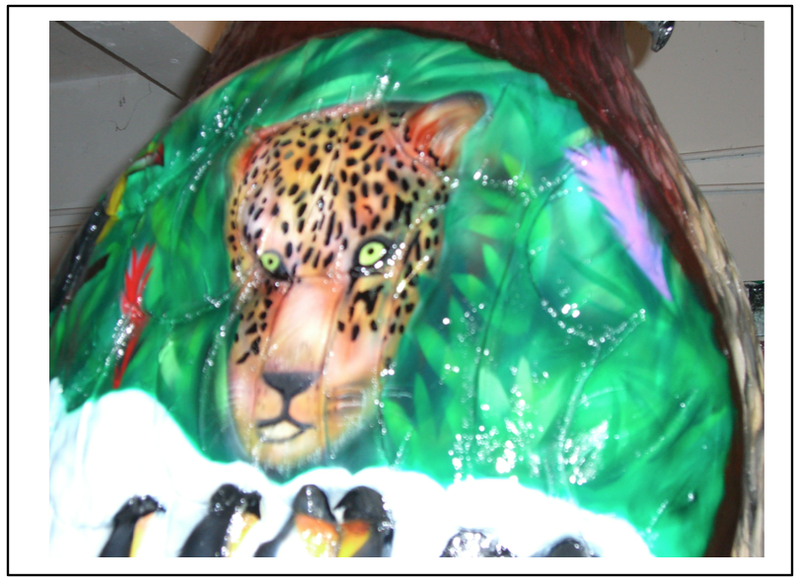 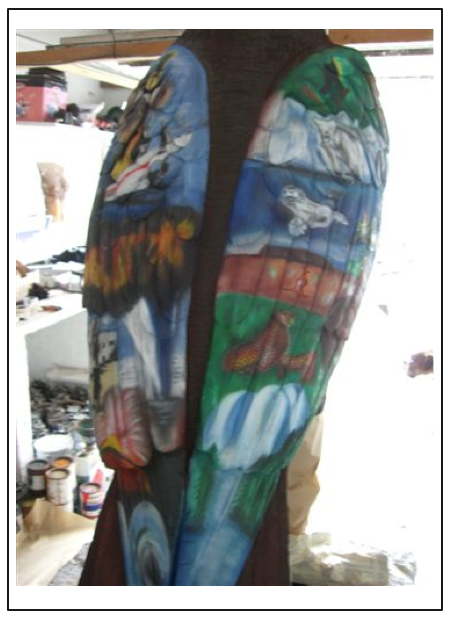 Eric Brocchi participated amongst 50 international artists at the exhibition “Eco-Art-Parade 2009” in Monaco, inaugurated by HSH Prince Albert II of Monaco on 6th June 2009. 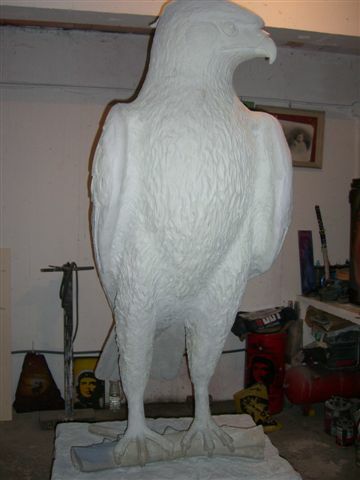 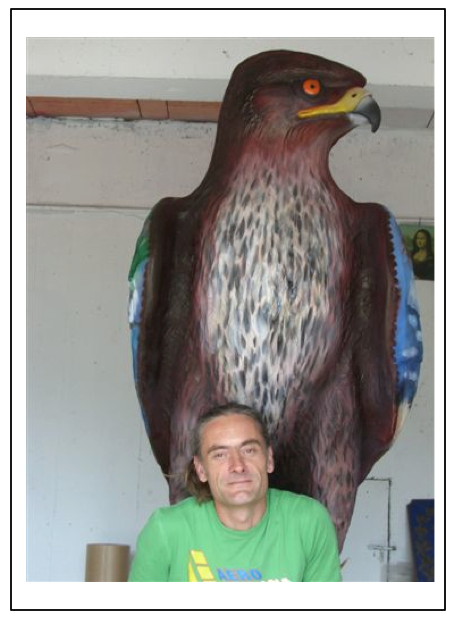 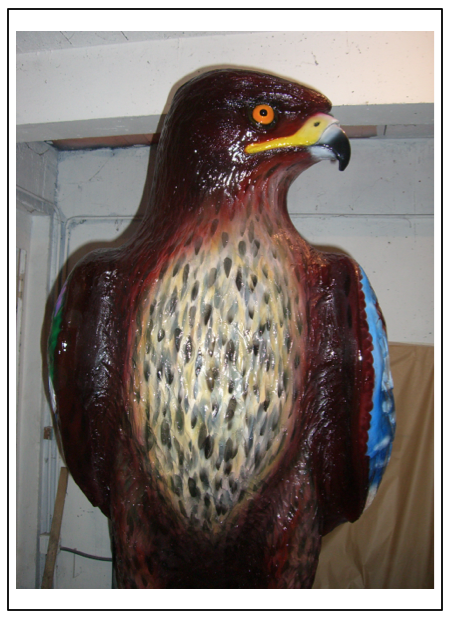 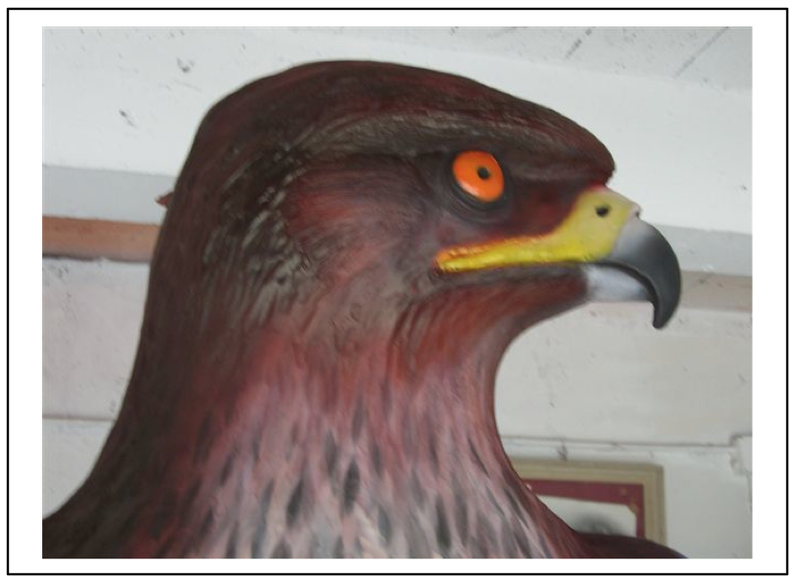 The theme of the exhibition was “Ecology and Environment” and its effigy was the Bonelli Eagle, threatened by extinction in the mediterranean region. 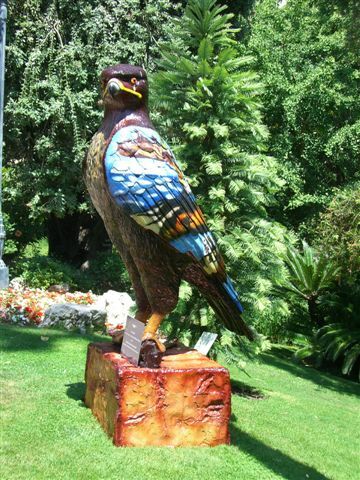 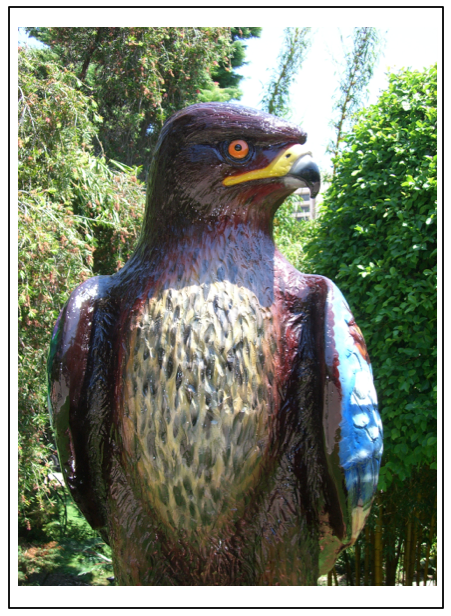 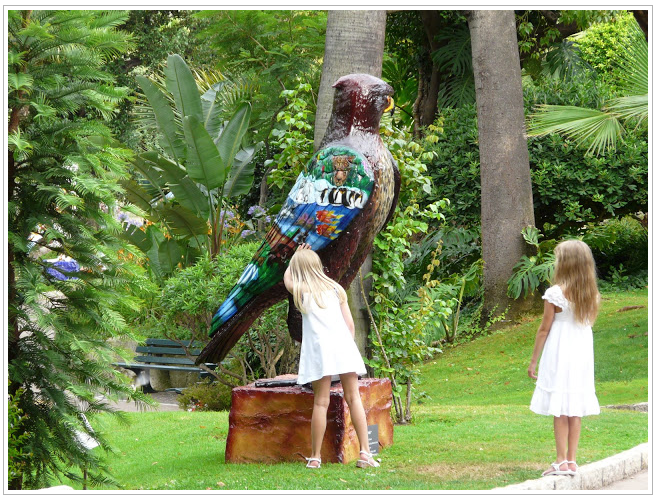 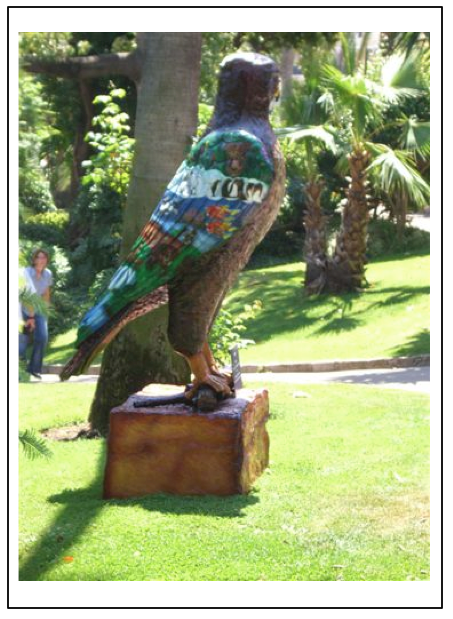 The eagles were exhibited in the various public gardens of the Principality until October 2009 when they were be sold in auction by Sotheby’s for the profit of the Prince’s ecological Foundation – Fondation Prince Albert II de Monaco. 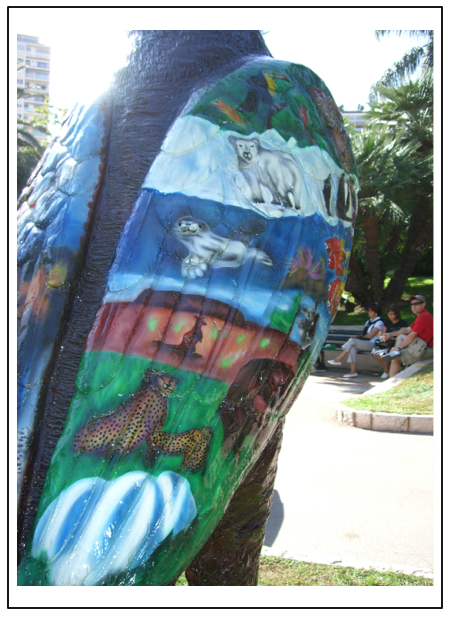 Eric was sponsored by HSH Princess Stéphanie of Monaco, owner of the Café du Cirque, and by Monte-Carlo Festival, the organisers of the Annual Internation Circus Festival of Monte-Carlo. 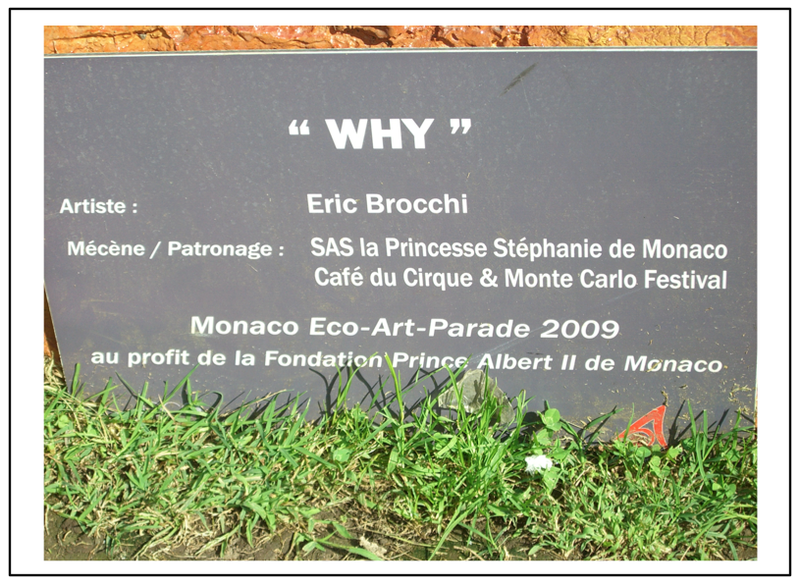 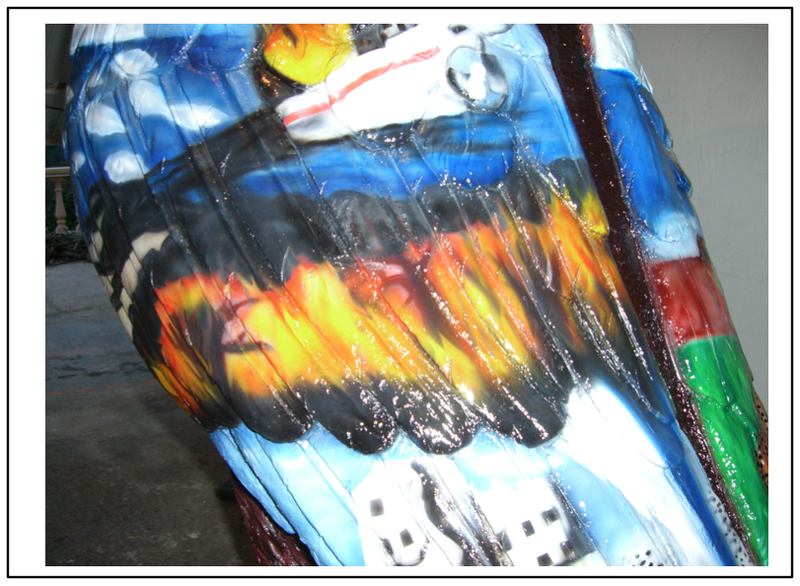 “WHY” is the title of Eric Brocchi’s interpretation of the theme of the “Eco-Art-Parade” – ecology and environment. 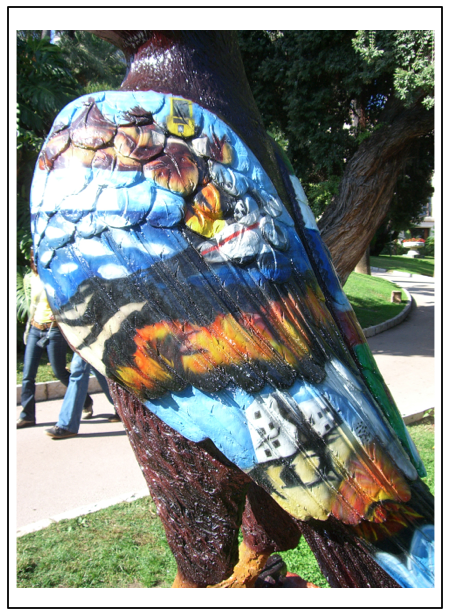 One wing of the Bonelli Eagle shows the beautiful nature – the tropical Amazonas forest, arctic ice fields, the coral banks, the continents of Australia and Africa, each with its characteristic animals and vegetation, a water fall and a crisp mountain lake. 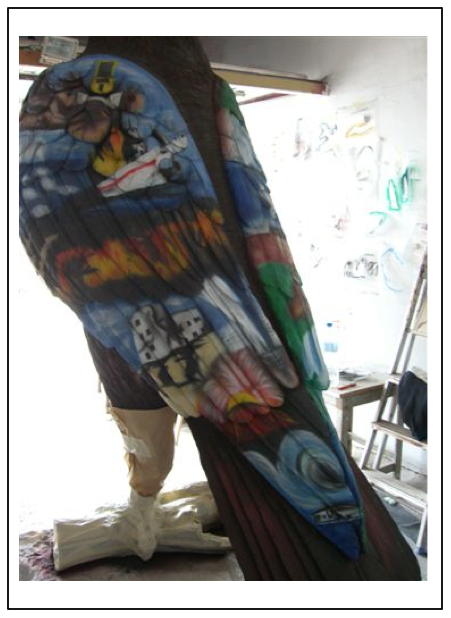 On the other wing the nature catastrophies mainly caused by human beings capture our attention – the deforestation, the melting of the glaciers, pollusion of the sea, a volcano outbreak, an earthquake, un tornado, flooding and tsunami. 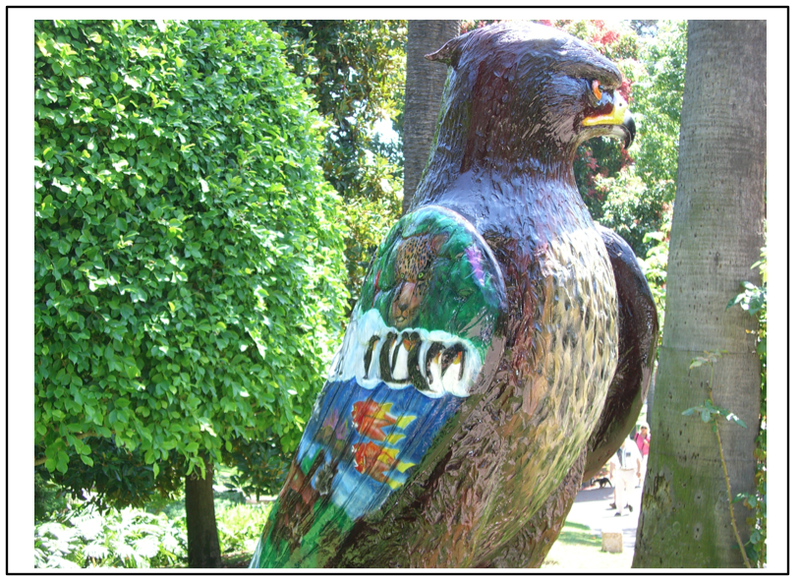 On this side traumatic for nature the eagle cries by asking “Why?”.